Hard workout. 1 Week out from the test is normally a time when I do my most intensive rowing workouts. I do repeats of pieces at or close to race intensity. I always make sure I do a long warm up and cool down on hard days like this. Moderate – Hard Workout. 6 days out I continue my test preparation with some more test power pieces and I really aim to be tired at the end of this day. I aim to cash in on the body’s natural ability to heal to a point stronger than when it was before the heavy training. It’s just like when someone breaks a bone – the bone knits together stronger than it was before the break. Moderate – easy workout. I use this as an active recovery day to help my body clear out any of the debris still lodged in there from my race preparation workouts on day 7 and day 6. 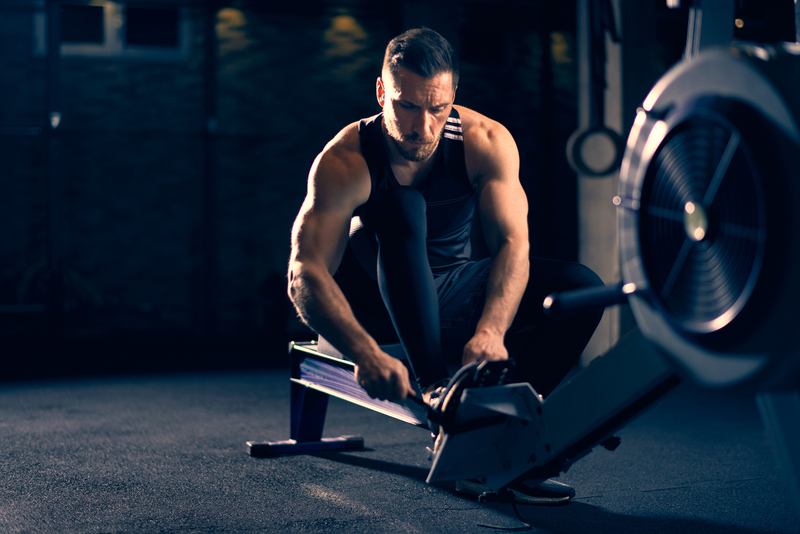 I always erg for about 30 – 40 minutes and include some moderate power for about 5 – 10 minutes. I also use the opportunity to do some technical drills such as strapless erging. Rest. I do nothing on this day and try to recover from my race preparation workouts of day 7 and day 6. I make sure I nail my nutrition to ensure recovery and refuelling for the test. Hard – short Workout. I believe this day is an ‘open the pipes’ up day. I usually do 1 or 2 pieces at or close race power. Normally I do 1000 meters and 500 meters with a 5 – 10 minute break in between. I usually suffer a lot in these pieces because of the day of inactivity on Day 4. It’s also a good realty checker – it sharpens my mind as to how tough the test will be. Rest. I do absolutely nothing. I try to avoid all stress and energy sapping situations both mental and physical. I make sure my nutrition plan is helping me recover and build up a store of energy for the big one. Very easy workout. In this workout I normally do some light – moderate pulling for 20 – 25 minutes. I will pull some hard strokes during this time most around race power. I pull no more than 20-30 strokes 3-4 times. It’s important to work out if possible on this day because it keeps the body and energy systems flowing. Test Day. This is a special day and your warm up is a key part. I will discuss my special warm up next time. 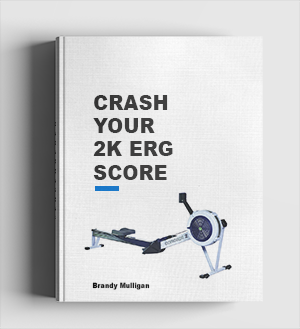 A while back, I wrote an article about how to approach a 2k erg test and the strategy you should use to get your best score. The article focused on breaking down the 2k into 3 parts – the start, middle and finish – and showed a plan for each. Usually it’s an excellent way of preparing for a 2k erg and executing it on race day but sometimes you need to use a different approach. 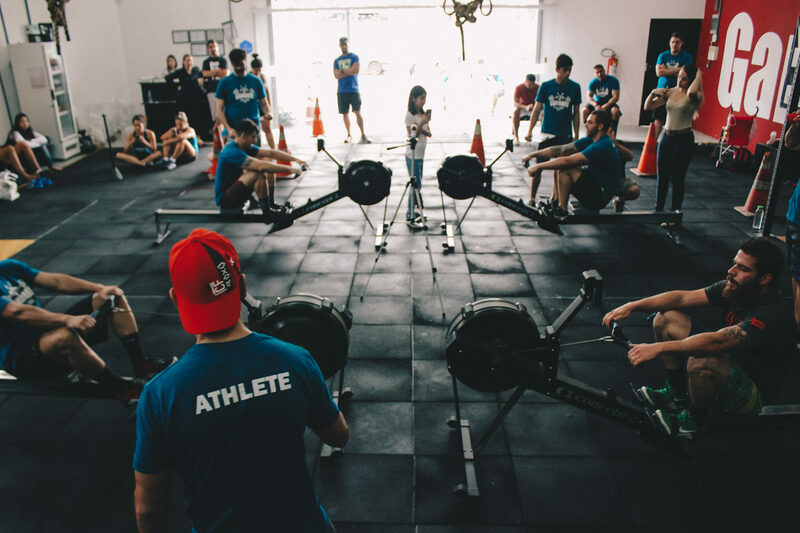 The standard 2k erg test strategy is for rowers who have a good training history and have a balanced type of fitness geared towards a fast 2k erg. This fitness is typical of a rower following a rowing training program over a long period of time. Not everyone racing a 2k erg has been training specifically for rowing for years. You may have a short history of training and not have a well developed aerobic system. Or you might come from another sport where aerobic endurance is key and you don’t have a well developed anaerobic sprint system. 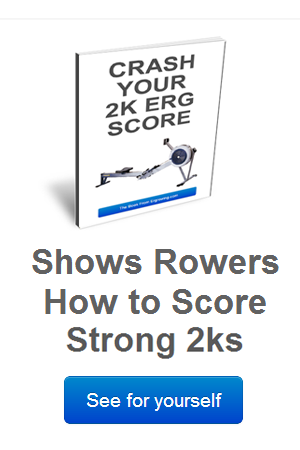 Either way, you should consider approaching your 2k erg tests depending on what you like. Because what you like is usually what you are naturally good at. Everyone is born with a certain type of muscle ratio between slow twitch and fast twitch. If you like (and are good at) long distance you probably have a higher proportion of slow twitch. On the other hand maybe you prefer pumping out a couple of 100 meter blasters in which case you probably have a higher percentage of fast twitch. Go off hard – very hard. This is where you can get ahead and compensate for a slower middle section. But you need to know your limitations and ensure you sprint for only as long as you can without jeopardising the entire 2k. You are the best judge of this. It might for example be realistic for you to sprint for 200 and 400 meters. Keep going until you feel like you need to settle into race pace and when you do settle – settle a lot. There is no point in trying to play the averages game with a big strong aerobic middle 1400 meters because you are not currently trained for this. 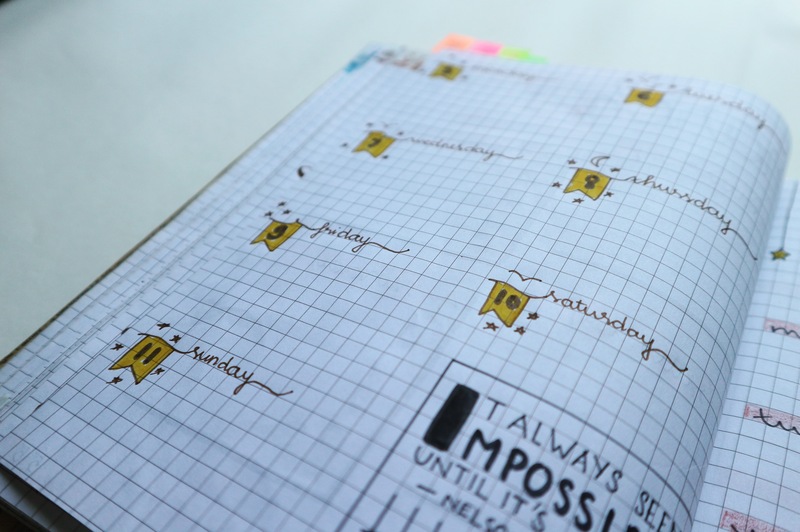 Here you should initially try to recover from your hard start. It might be that you settle to 1:45 after pulling 1:35 average for the start phase. But you should still play to your strengths. Consider doing some power 10’s down the middle section making sure you spread them out well so you give yourself a chance to recover between bouts of power. A power 10 would for example go from 1:45 to 1:41 – 1:43 and you should aim to do no more than 3 -4. But always ensure you pace yourself. Remember it is a 2k erg and you must budget your energy for this. Towards the finish – do not go early. Leave it to a point where you can sprint again at maximum power until the last meter. Some sprinters can manage 20 seconds – around 100 meters. Others can do 30 – 45 seconds. The bottom line is that you are extracting the most from your natural ability – which is sprinting. This type of approach to a 2k erg test is not the best way to get a good score. To get a good 2k erg time you must follow a good balanced rowing training program that trains all of your energy systems used in a 2k test. This comes with time and patience, but if for the reasons I mentioned above you need to do a 2k erg test and know you are a good sprinter with a not so good aerobic base then this strategy could should for you. 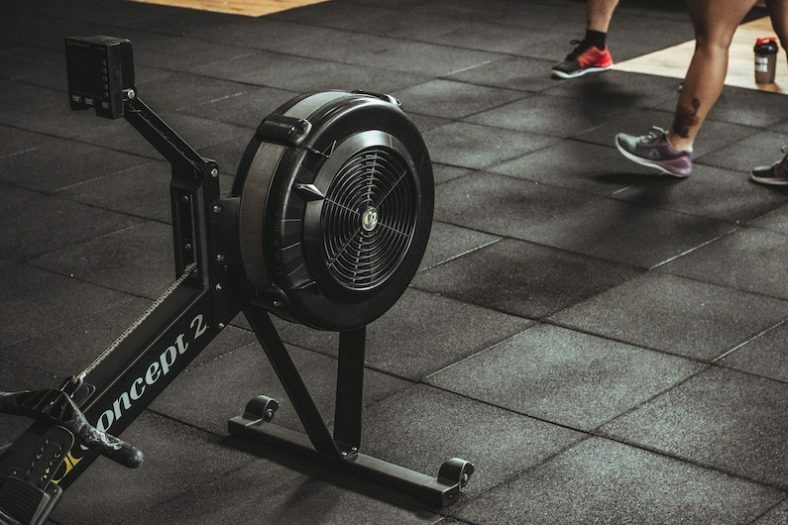 The next article examines a 2k erg test plan for type B rowers – endurance.